Today i finally wired my headlights into my power distribution box. This write up will consist of how to 1. Wire the headlights into a power distribution box like mine 2. wire the headlights into two relays without a power distribution. The benefit: Brighter lights from electricity going through a relay instead of through the headlight switch then to the head lights. 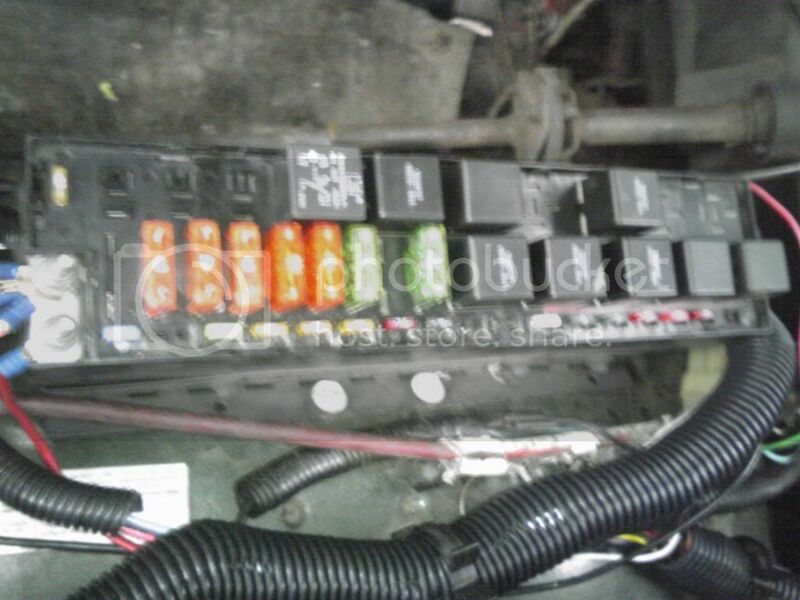 My power distribution box has two relays and four fuses for the head lights a relay for high beams and a relay for low beams and fuses for each head light for both high and low beams. 2. Cut the splice out you should have a red with whit tracer from each headlight and also a black with red tracer wire. You will have a black with red tracer from the bulkhead connector and a red with white tracer. 3. Take your 16GA wire and measure off how much wire you willl need to make it to the box from the head lights, i like to leave an extra foot just in case. 4. Wire in your measured lengths of wire to the head lights. 5. There are 4 wires in the PDB wire them to the appropriate wire for beam and which side the light is on. ie, left HL Hi beam to Left HL hi beam fuse. SIDE NOTE After you wire in the headlights to the PDB it's not as easy as you think. There is constant positive power to # 30 and 86 on the relays #87 is to your fuses #86 goes to the head light switch, normally 85 is grounded, this is where the 3rd relay comes in. Your HL switch is sending out positive power as is the wires to the dimmer switch from the PDB. Well your lights wouldnt work if you wired them in there. You need to take the wire from the HL switch to the dimmer switch and cut it. Wire the wire from the HL switch to #30 on the relay and ground both 85 AND 87. 86 is from the dimmer switch. 6. After installing the third relay and hooking your battery up again you may find that your brights will come on on their own, this is because they are being grounded by the hi beam indicator on the dash, simply cut the wire for the indicator, just follow the hi beam wire from the dimmer switch to the bulkhead connector, the other red and white wire that is in thate same spot is for the indicator. Cut it, take your extra wire and run it through the firewall. Splice the indicator wire into either hibeam wire that goes to the lights. This way only when the brights are turned on the indicator turns on. 7. Test your lights, if the hi beam indicator lights up with the low beams on, just switch the wires at the head lights. 1. 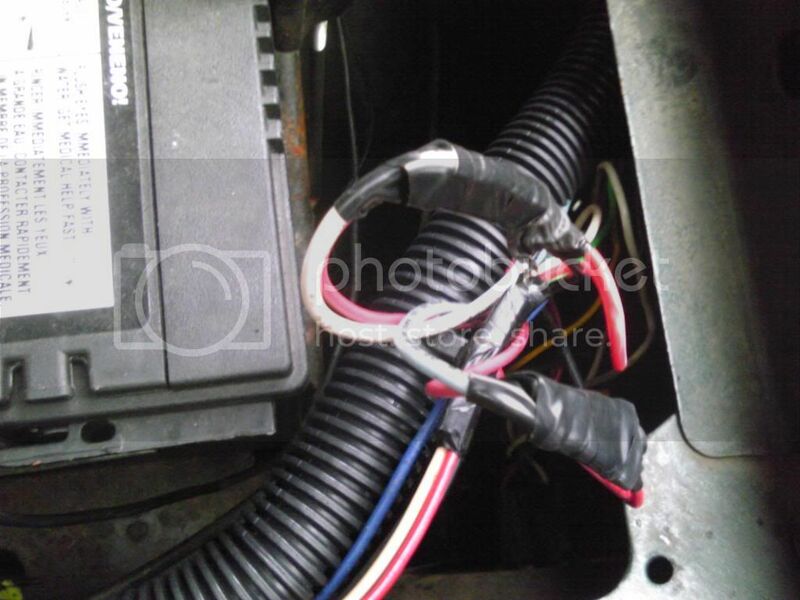 Find your hi and low beam wires. 3. Put your spade connectors on your four wires. 5. For both relays wire the fused power to #30 on the relays and ground #85 on both relays as well. 7. Take your hi or low beam wire from the dimmer switch and wire to your designated relay for that system, this wire will go to #86 on the relay. 8. Take your headlight wires and wire them to the designated relay. 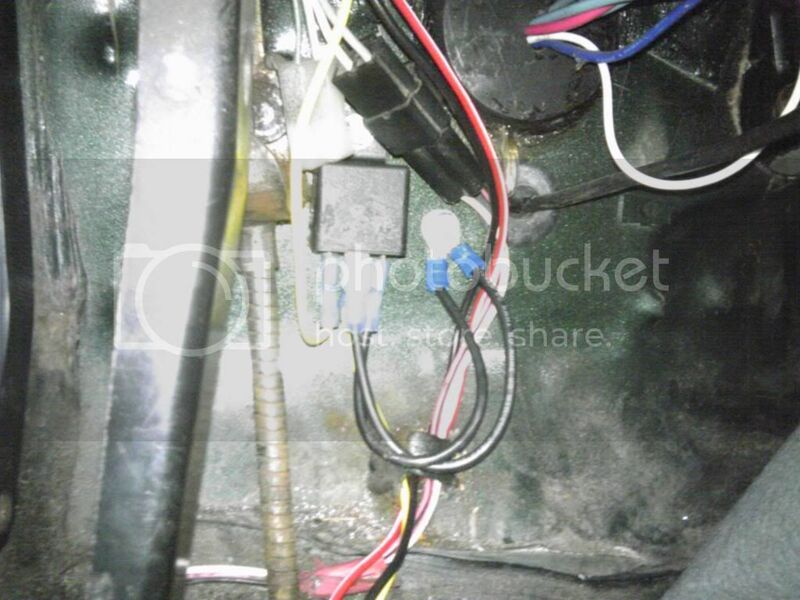 ie, if its the hi beam wire, wire it to the same relay that you wired the wire for the high beams from the dimmer switch. This wire will go to #87. 9. Youre done, take a look and make sure all connections are good. 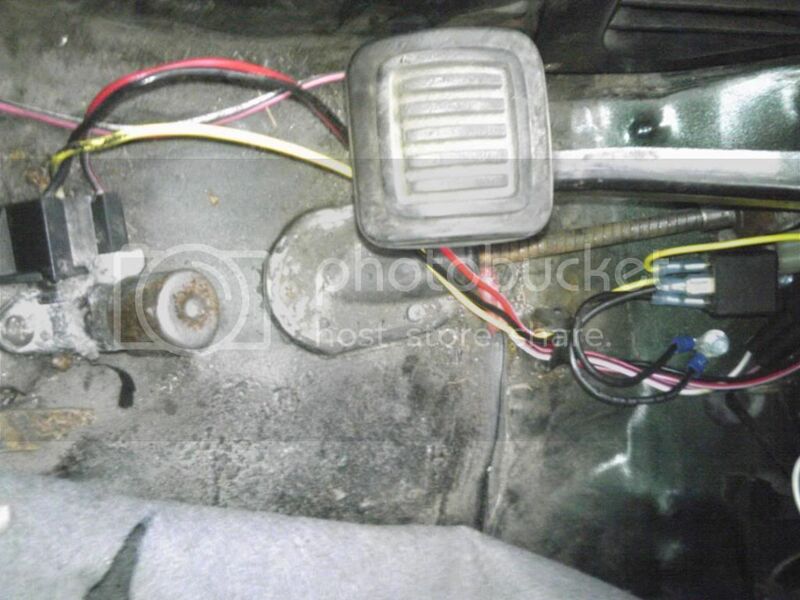 For the highbeams my fuses call for 10 amp and low beams are 15 amps. I dont have any pics of relays by themselves sorry. Hope you enjoy your brighter lights! did you notice one of your lights are out? good right up. 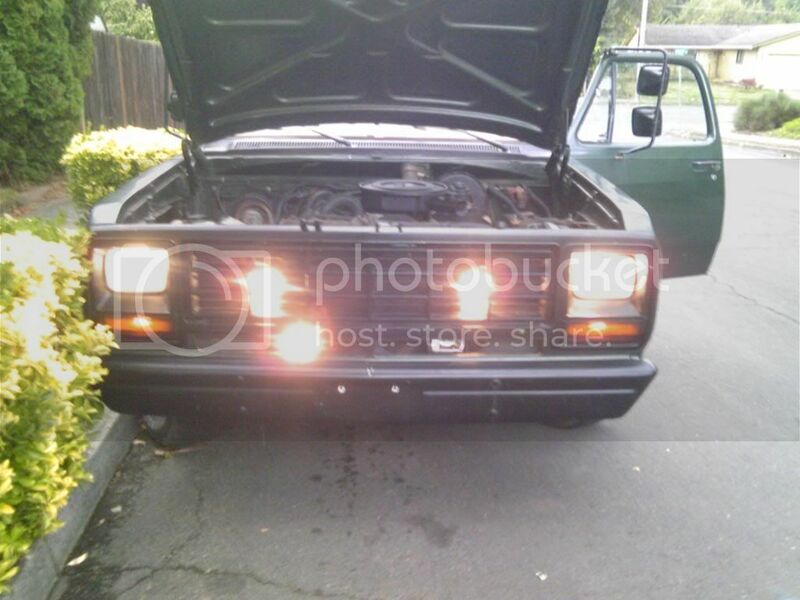 i was thinking about installing some relays on my headlights but have not got around to it. did you think of installing a switch to turn your low beams on when you high beams are on? Yeah its been out for awhile. Just havent gotten around to uyin all new bulbs to upgrade them. 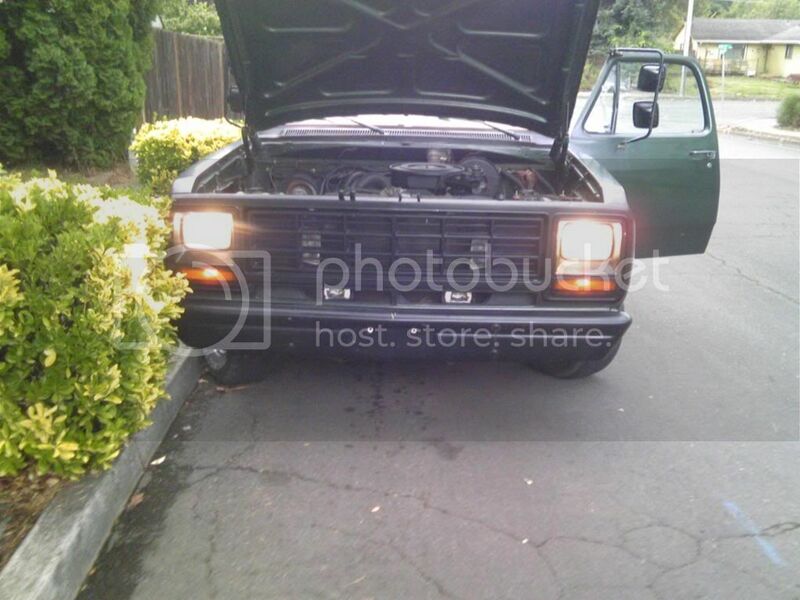 Heck ive needed a new driver head light since i got it but it hasnt burnt out yet so its staying. I did think of that but it didnt seem to make much sense for me to do it since i have 4 other lights up front. you should try it one night. i have tested it in my driveway and i could see it making a difference. I agree with Wolfie. 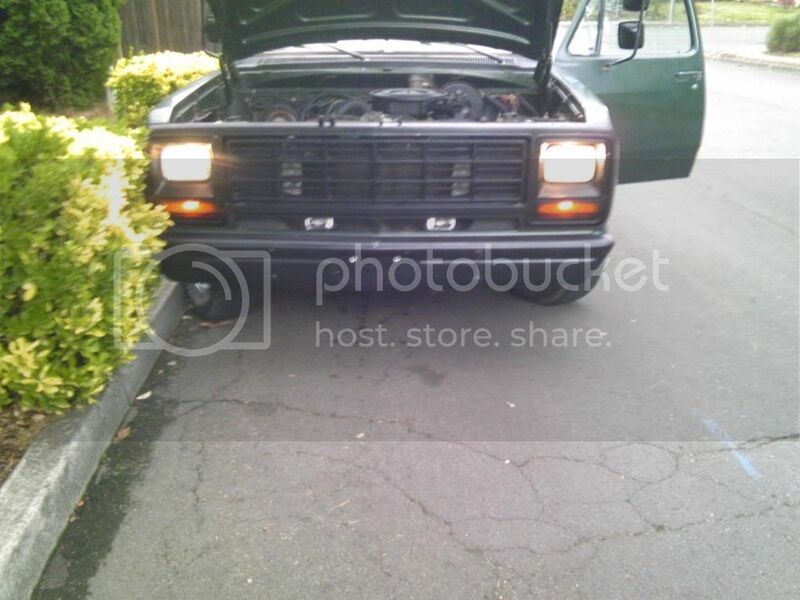 I had an old Ford with the combined lights, and it made a HUGE difference.